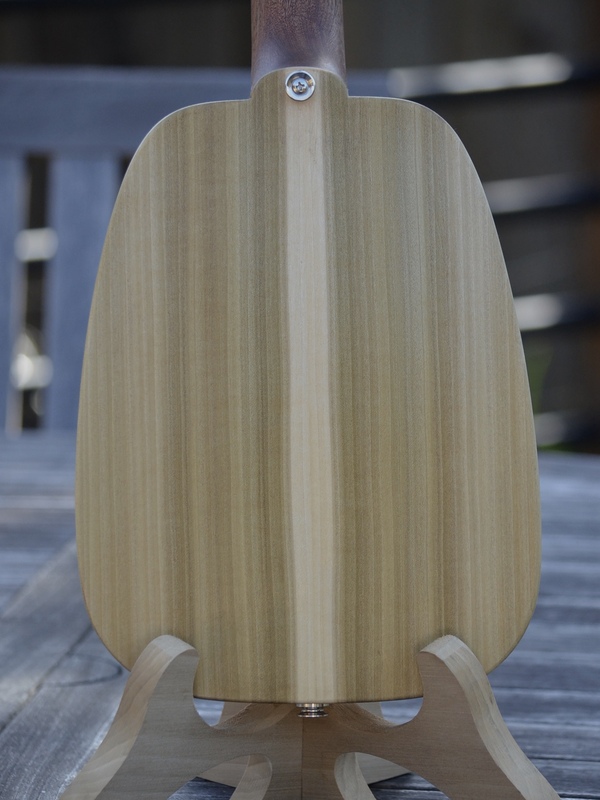 “Flow” gets her name from the laminar look along her sides and the pattern in her grain on the Mango soundboard that looks like rippling water flowing around the bridge. 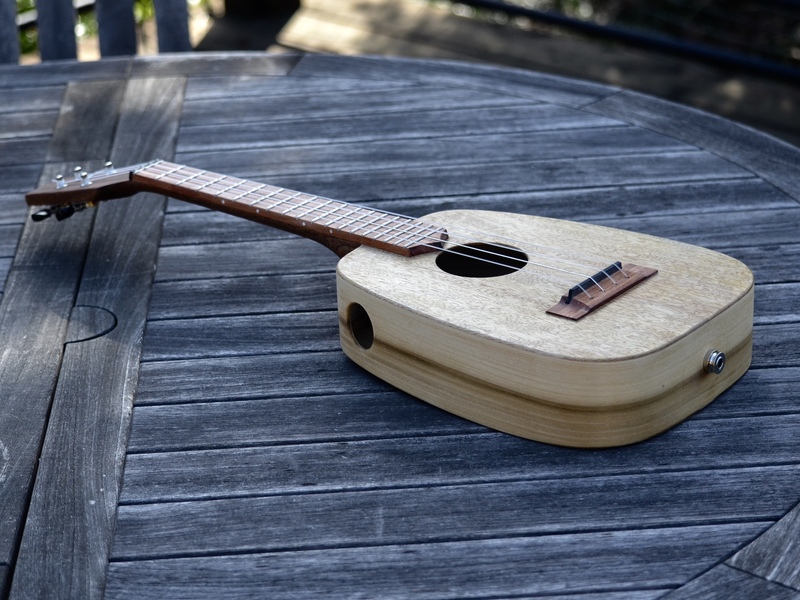 It appears as if water is building up below the bridge and then flows gently up and around it creating a quiet eddy between the bridge and soundhole. 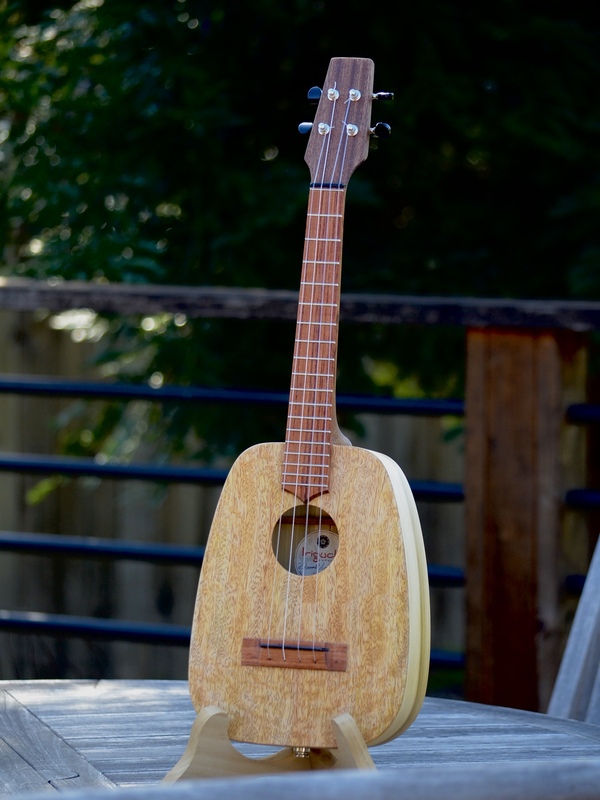 This is our first ukulele in mango. 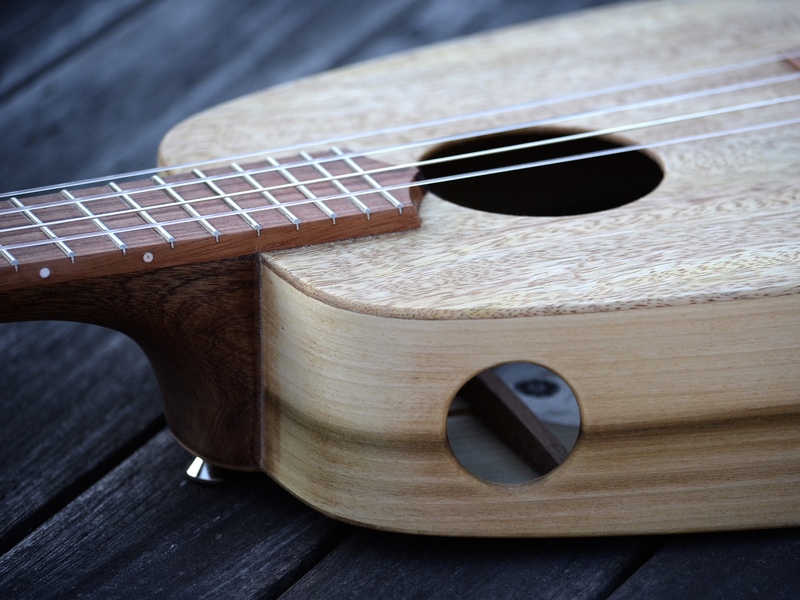 Ukulele Flow is an tenor Keystone. 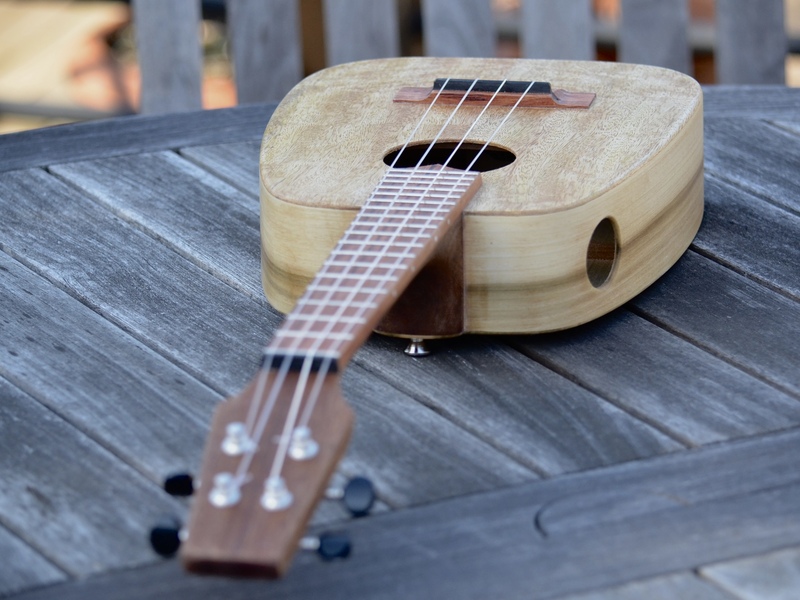 She has a full tenor-size body with a 17″ scale neck. She has our signature ladder bracing and a round side port. She has a mango soundboard which is our first with this wood. The wood has a nice spring in it and feels very similar to spalted tamarind. It has a loud, bold voice. 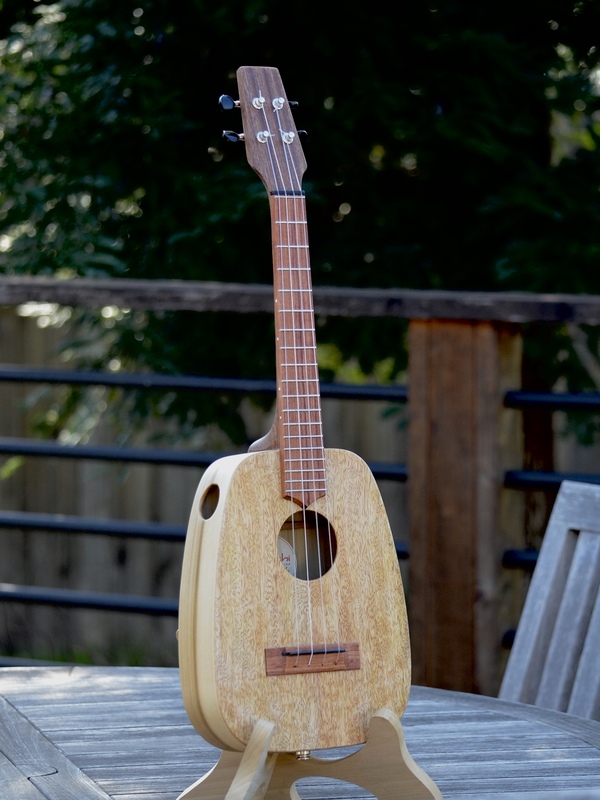 She comes with a K&K Sound Aloha Twin pickup and is tuned in re-entrant baritone, aka bari-tenor. Can also accept strings for re-entrant GCEA tuning or low-G GCEA tuning.